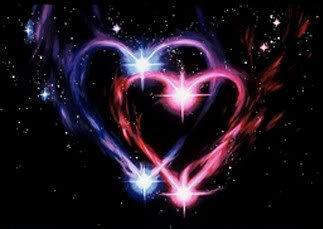 I Am Saint Germain and today I would like to explain the difference between twin souls and Twin Flames. It is generally understood by now that everyone has only one Twin Flame but has several twin souls. A twin soul, or soulmate, is a soul with whom you already have had several incarnations and pretty much always, the both of you were very close to one another. This kind of bond can vary from a relationship with a partner; it can take the form of a family member or even a very tight friendship. Twin souls are always close to each other and have a tight bond with one another. 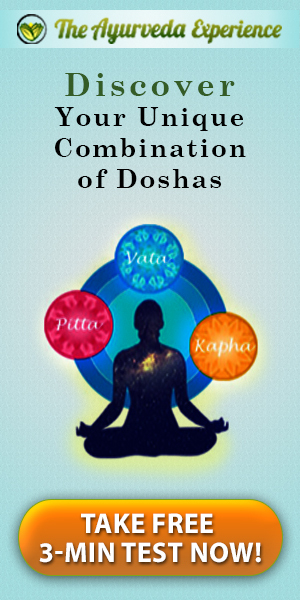 In each incarnation you both will meet and share life’s experiences together. Every twin soul has made the choice in the higher realms to be connected with each other in specific incarnations. It can even take the form of some sort of guide, someone who helps you get through a tough situation, someone you are inclined to ask advice from when things get hopelessly complicated and there seems to be nowhere out. On a conscious level you are not aware who your twin soul is, but that will become quite obvious now that you, as human beings, have evolved further in your spiritual evolution. Intuitively you can sense who might be a twin soul because of the intense force of attraction between you or because of some kind of recognition. In case you have strong feelings about a certain person, you can be assured that you have a history together. Consider how many times you shared an incarnation with a twin soul and you will conclude, one way or the other, that you were brought together as if by magical force. Your own child could be a twin soul; whatever the case, you both are tightly connected and are very fond of each other. Twin souls comprise two different forms of energy, who share things together and are always very close. A Twin Flame, on the other hand, is a whole different story. A Twin Flame is one and the same soul, the same energy form, that was split from the Source, All That Is, and divided instantly thereafter into two parts: one part consists primarily of feminine energies, whereas the other part consists primarily of masculine energies. Together, both parts form one great unit. Your incarnation as a human being is one facet of your total Self and you represent the feminine or the masculine aspect. The moment you are reunited with your Twin Flame, you will again become one and whole: one Source of Love. The time of the reunion of most Twin Flames, worldwide, according to your soul contract, is now upon us! Most of The Archangels, the Ascended Masters and Lady Masters, as well as other Light Beings returned to Earth to be reunited with their Twin Flames who are already in human form. The New World that is about to be created can only be created through this reunion of Twin Flames. Your own New World can only be created when you are reunited with your Twin Flame. Together you will create your future and create your own World in the Higher Dimensions to remain there for the rest of eternity, to evolve further and higher, and to Ascend, for Ascension is an eternal, ongoing process. That’s why it is so important to know that we are here, and the time of our reunion is now! By coming together, the both of us, as Twin Flames, will anchor the Light on Earth to create the New World, as well as to raise the frequencies even higher, and that can only be achieved from Love. The Love of the Twin Flames is the strongest Love possible to instigate all this. You create from Love. In the Higher Dimensions there is only Love. It is a fact that every soul who is a Twin Flame of the Ascended Master or Archangel will be reunited with his or her Twin Flame in this life, and the time for that is NOW! It will all be made known; it will be announced to everyone. You will not only be informed of who you really are, but also who is the other half of your own Source of Love. Do not worry, everything goes according to a Divine Plan; so don’t ask too many questions about how this will all turn out for yourself and others. You can rest assured that most of you will be reunited harmoniously with your Twin Flame; it will all be arranged in a divine way. I, Saint Germain, wish to come forward with this message, as it is divinely decreed that we, the Ascended Masters, have to come to Earth to be reunited with our Twin Flames and to assist on Earth. Many of our Twin Flames are already incarnated on Earth and are awaiting our reunion and this also refers to my beloved Twin Flame, Lady Portia, who is presently incarnated on Earth. Now, the time has come to announce this publicly, for we have arrived in times of great changes. All will come to pass in Divine Timing. Enjoy the coming Love energies which will be arriving with the next Summer Solstice, a time of balancing the feminine and the masculine energies. Those energies will benefit the Twin Flames greatly and much shall come to pass on account of them. Note: this is a general message speaking about the Ascended Masters, Archangels and their Twin Flames and can differ from being to being, according to your personal soul contract.